part of science or geography courses. ESTA also sells reference sets of rock samples for teaching. Earth Lab Datasite – the Natural History Museum’s educational resource allowing amateur geologists and students to investigate UK geology on-line. 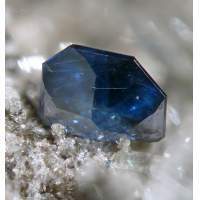 Mineralogy Database – David Barthelmy’s database contains more than 5,000 web pages of mineral data. There are 4,205 individual mineral species descriptions with links. Glossary of rock, mineral and gemstone terms – Hershel Friedman’s comprehensive on-line glossary with hundreds of mineral terms, definitions and explanations. Etymology of mineral and rock names – Christof Kuhn’s listing of the derivation of rock and mineral names, in English and German. Mindat.org – probably the largest mineralogical reference on the internet.